And now for something completely different! 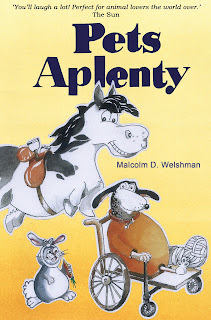 Today I would like to give a very warm welcome to retired vet turned novelist, Malcolm Welshman. For those of you who read The People's Friend, Malcolm has become a firm favourite with readers of the magazine with his new vet series 'Tales From Prospect House'. As a fellow writer for The Friend, and the owner of a cat and badly behaved step-dog, I decided to find out how the animals in Malcolm's life have influenced his writing over the years. If there are any questions you would like to ask Malcolm, please feel free to leave a comment and I am sure he will be more than happy to answer them. My life has always revolved around animals ever since as a five year old I was allowed to keep two white mice. Within three weeks there were 15 of them! As a lad in Nigeria we acquired an African Bush dog called Poucher. She got attacked by a wild animal and her badly mauled hind leg had to be stitched up by the army doctor. Watching him operate made me decide I wanted to be a vet. During Poucher’s convalescence she was asleep next to my bed when an army of soldier ants poured through the room, ferociously attacking us. 25 years later I was to write up that experience for a magazine and it became the first feature I ever had published. While in Nigeria, we also became the owners of an African Grey parrot. She was to be a constant companion for over 23 years. I had just qualified as a vet, when I had to operate on a tumour on her neck to save her life. That too became one of many features about her. But it was a goose, given to me by a grateful farmer to fatten up for Christmas that really enabled my writing career to take off. One night, Gertie raised a cackling alarm that saved us from burglars. So there was no way we could have her for Christmas lunch. I wrote that tale up as a Christmas special for My Weekly and on the back of that the editor asked if I would like to do a monthly vet series. Of course I said ‘yes’. That series continued for 15 years. On retiring from practice, I decided to write a novel based on my experiences in practice and the many animals I’ve met along the way. I’ve now written three books, the latest being Pets Aplenty, each one detailing the exploits of a young vet, Paul Mitchell, in his first 18 months in practice. Even though I’m retired, animals still form an important part of my life and provide endless scope for more writing, Only last autumn when I was rolling back the damaged turves on our lawn caused by a badger seeking grubs, I realised that could be the source of another feature. And a week later it appeared in The Daily Mail. We’ve a Yorkie-cross terrier called Dora. We were invited to take part in a National Geographic TV show called Leader of the Pack, in which the dog whisperer, Cesar Millan, put three couples through their paces to see which one would be suitable to provide a forever home for Dora. We were the lucky winners. Dora now writes a monthly dog blog on an international website describing the exploits of her Bossman. It’s still a delight to find more animal adventures to tackle as I sit at my desk and try not to be distracted by the roe deer, jackdaws, badgers and rabbits that weave back and forth across the lawns outside my study window. But then they, like all the other animals that have formed part of my life, are to be thanked for giving me such a great source of inspiration to write. Malcolm Welshman is a retired vet and author. His first novel, published by John Blake Publishing in May 2011, was Pets in a Pickle. This has a foreword by James Herriot’s son and quotes by Sir Terry Wogan and Richard Madeley, amongst others. The ebook version reached number two on Amazon Kindle’s bestseller list. The second book in the series, Pets on Parade, was published in April 2012 and the third, Pets Aplenty, in August 2014. Malcolm also writes for several national magazines and has had occasional features in the Daily Mail and the Sunday Times. His vet series, Tales from Prospect House is currently in The People's Friend magazine. 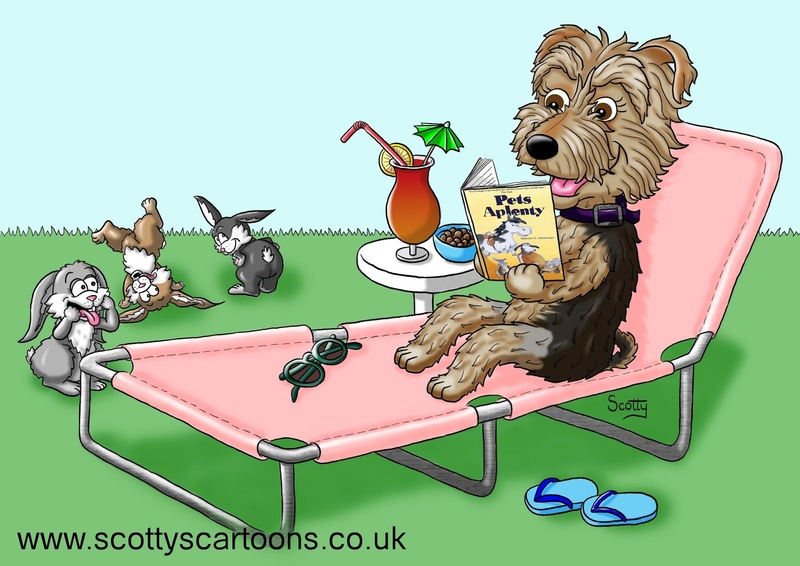 Pets Aplenty can be bought here from Amazon for kindle, audio and in paperback. The cover is great, isn't it and the stories very amusing! Thanks Natalie. You've made my day with your comment about the cover. Happens that I drew it myself and got an artist friend to colour it in. They do say an eye-catching cover is very important hence I spent time in getting something together which I felt echoed the contents. The book was fun to write and if you do ever get to read it I hope you'll find it fun as well. There's a running joke about Max Bygraves ( a singer from the 60s my mum adored and I detested) - he keeps popping up in the most unlikely places eg the next door neighbour singing along to him in the bath while an escaped python slithers in from the vet's adjacent bathroom - you'll have to read more to find out what Paul, the vet, has to do . What a lovely interview. I'm not really an 'animal person' - my children's pets have always been low-maintence creatures like fish and lizards, and I turn away from cute kittens on FB - but I'm tempted to buy Pets Aplenty now. That's great, Julia - I'm sure Malcolm will be very pleased. The series always has me chuckling, Sue. I thought you'd like this one, Teresa. Lovely guest blog. Thank you, Malcolm and Wendy. It sounds as if Malcolm's book will raise plenty of chuckles. Thanks for all the kind comments.Much appreciated more so if anyone was tempted to read the book. I must admit to being on a high when I wrote it - completing it in eight weeks with barely any redrafting. It was a hoot to write and authors who have read it tell me they can sense that. But can I repeat it? I've my doubts. But at least The People's Friend series is giving me the bones for that fourth so we'll have to see. Thanks again everyone. The resume writing service US is providing all kinds of the writing services for students. Students are always looking some best and quality work from the online custom writing service too. Our company is delivering day by day fresh information only for our customers. We have very talented and qualified custom essay writers and correctly follow the correct period of the time.So most of the students like this on line transaction.